I come a little late for this post but I love the limited edition Butter Rose Biscuits so much, I think I should just do a quick shout out to Crabtree & Evelyn Limited Edition collection! 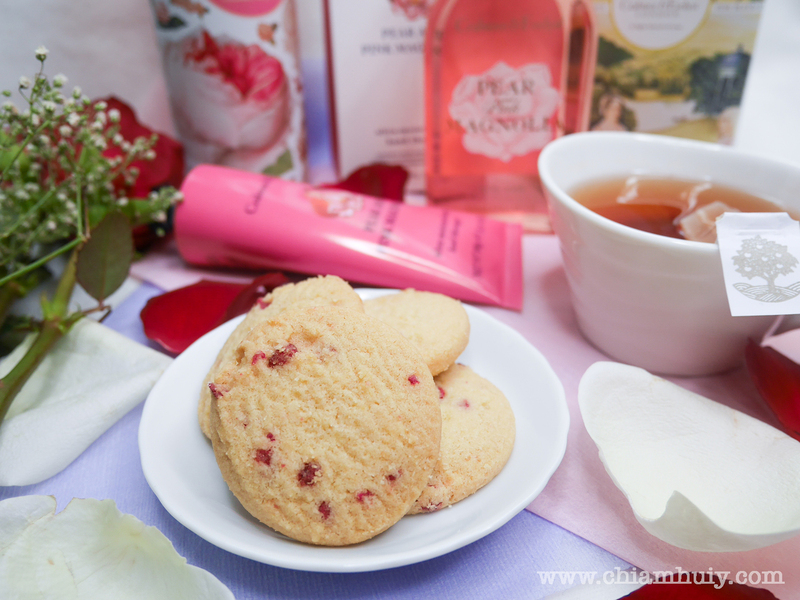 I love this biscuits because not only is it as usual soft and melty, it comes with crystallised rose petals to give a subtle rose taste to the biscuits. 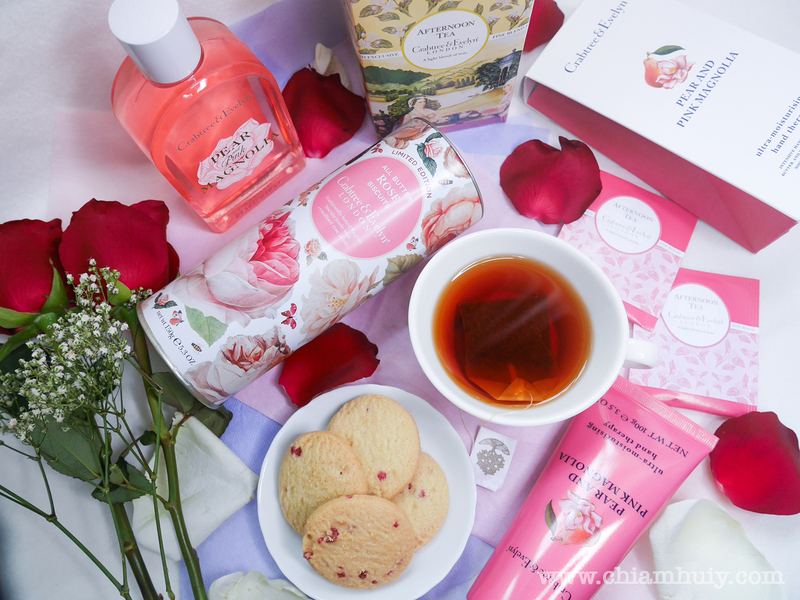 I've always always love Crabtree & Evelyn cookies because I know the quality is always there, without fail. And every time, some of their flavours are so unique it leaves an unforgettable impression, which made me went to Crabtree & Evelyn to buy another tin. 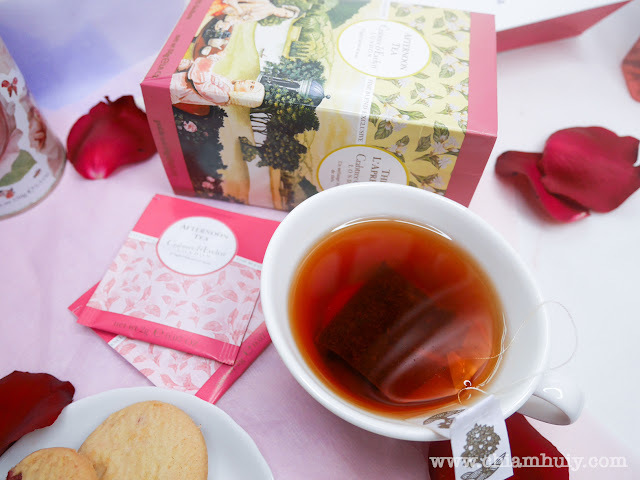 Of course, a good set of cookies should go with its complimentary tea. Here's the Afternoon Tea (25 Sachets) which is a light blend of different tea. Pear and Pink Magnolia Hand Therapy 100g (S$33) to complete your relaxing weekends. 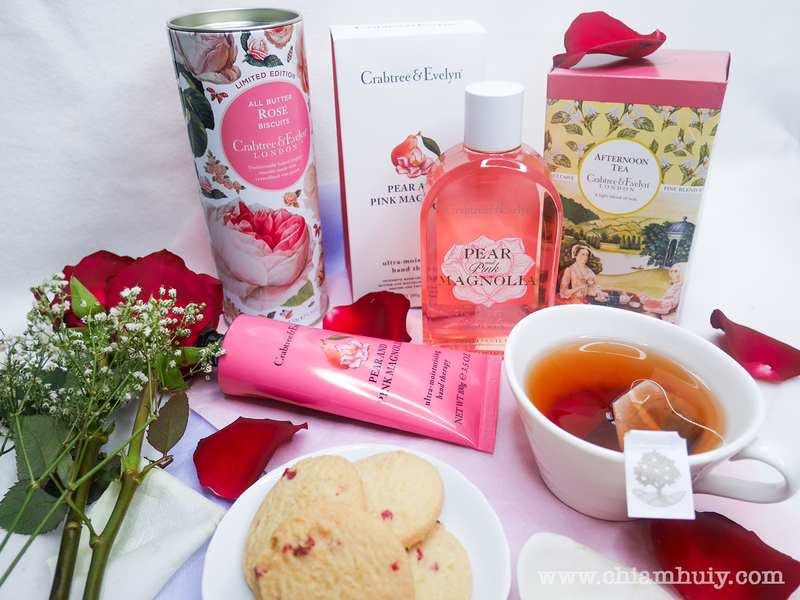 Thank you Crabtree & Evelyn and TouchPR for this lovely afternoon treats.